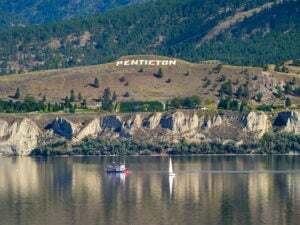 Penticton offers some of the best year-round weather in Canada, beaches, lakes, a wide variety of recreation activities, all combined with the charm and authenticity of small city living. We asked some of our Youth Influencers what they thought about the City they call home and here’s what they had to say. I enjoy many things about Penticton, here are a few examples. There is always something for youth to do. Penticton Public Library almost always has a youth activity going on. Sometimes Penticton Lakeside has events and there are many church youth groups to find. These all provide fun, safe environments for teens to hang out. 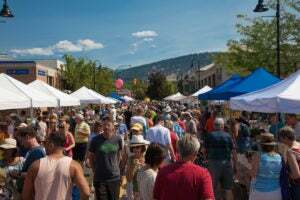 Penticton also supports local businesses by promoting them on our radio stations and we also have a Farmers Market every Saturday in the summer that also helps the people in our community make money. 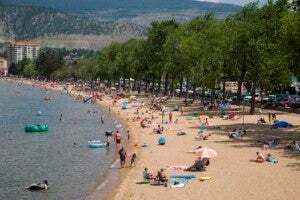 Another reason Penticton is great is there is so much to do, in the summer we have 2 beautiful beaches to hang out on, the Wibit on Okanagan Lake is really fun and there is a community pool that is open all year round. Every summer there is the Peachfest with activities that everyone can enjoy for free. We also have great sports teams to join: hockey, soccer, basketball, volleyball, lacrosse, figure skating and golf. Penticton is a fabulous community that cares about children. I highly recommend you visit or even move here. I don’t really know a lot about Penticton, I’ve only been here for 8 months. I do know that it is a great place. I enjoy the hot weather and how close friendships are. I loved spending the summer with my friends and going out places together. I came from a place that was super cold and the highest the temperature in the summer was 15 degrees and in the winter it got down to -28 degrees. Penticton has many different places with good shopping malls and different restaurants. I’m really glad my mom decided to move here. Penticton is a great place to go on vacation and to live. 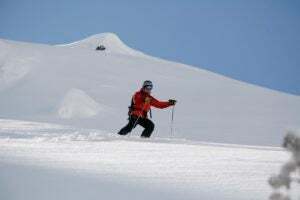 We have great weather right now – there’s snow out, but it’s not too cold and that means it’s a great time to go skiing at Apex. In the summer we have Loco Landing and if you have kids and want to live here we have an amazing education system and schools. 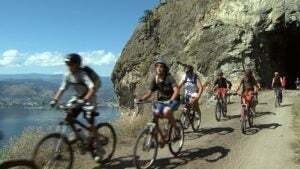 What I like about Penticton is everything from people to activities. Everybody is nice and helpful and I love the sports here. The views are amazing and can’t be beat and places are cute on size and all. Cars are nice and the shops have the best in class goods. The heat is out of this world reaching 40 degrees and higher plus the stuff to do here is awesome and I love it here. Penticton is a great place in the summer because it’s always warm and there’s several beaches to choose from, plus many ice cream places. Another great time is winter as there is always snow and many things to do. There are many stores to choose from and most restaurants you would want. And there are many schools to choose from.